A Roman arch sat on corbels that are the imposts. The seats of the arch, the imposts, take the form of protruding corbels, to give the arch a silhouette shape of a bell. 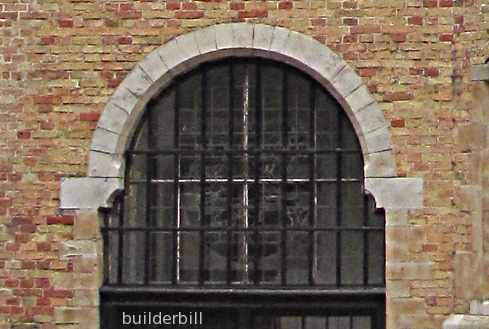 This particular one was seen in the old city of Bruges in Belgium.